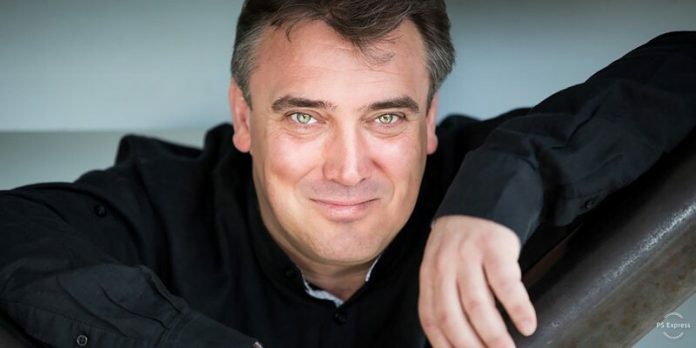 The RTÉ National Symphony Orchestra, in Dublin, Ireland has this week announced the appointment of Spanish conductor Jaime Martín as its new Principal Conductor — effective from September 2019. He will replace Kazakh conductor Alan Buribayev – who stepped down from the role in 2016. Maestro Martin currently serves as Artistic Director and Principal Conductor of the Gävle Symphony Orchestra, in Sweden – and will begin his appointment as Music Director of the Los Angeles Chamber Orchestra at the commencement of the 2019-2020 season. “It is with enormous pleasure that I welcome Jaime Martín’s appointment as Principal Conductor of the RTÉ National Symphony Orchestra…” Orchestra General Manager Anthony Long has said. “In his international career and in his performances to date with the RTÉ NSO, Jaime has shown himself to be an immensely gifted conductor and a natural and charismatic communicator,” he has said. “Having worked with the RTE National Symphony Orchestra on several occasions, I am hugely impressed by the players’ flexibility and commitment to the music …” the 53-year-old conductor has said. “We will endeavor to make the music world aware of the quality of this special group of musicians … and at the same time make our loyal audience in Dublin and Ireland proud of their national orchestra,” he has said.